We will work all together (Workshops: the theoretical basics of making movies) with international mixed mini groups (realizing film ideas relating to the topic “Europeanness” and shooting short films). With the different cultural contexts and different religious views, the participants will experience that there are still a lot of similarities among themselves. 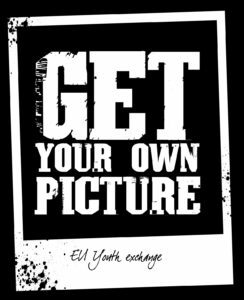 “Get your own Picture” is a youth exchange in which 30 young people from the European countries meet and film their own short films together for 10 days. After learning about the theories of making films, participants will be supported in transforming their ideas into practise and make their own film. Bring Your Own Device. If you have, your own film equipment (camera, tripod, etc.) and your own personal stuff.